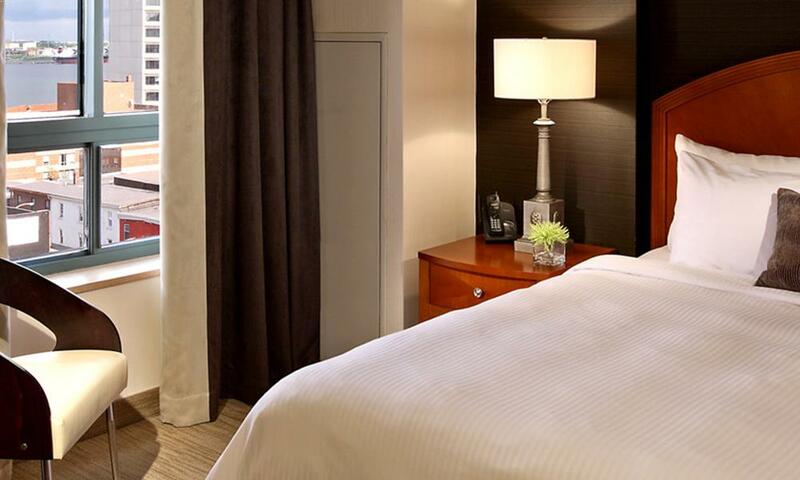 With far more space than the ordinary hotel room, our variety of one or two room suites allow you to stay in true comfort. 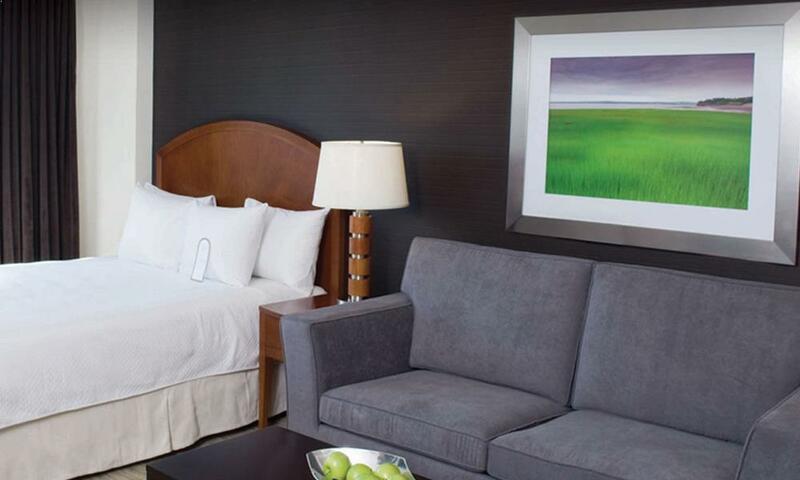 Large windows with superb views, flatscreens, luxurious bedding and modern touches give your suite style. 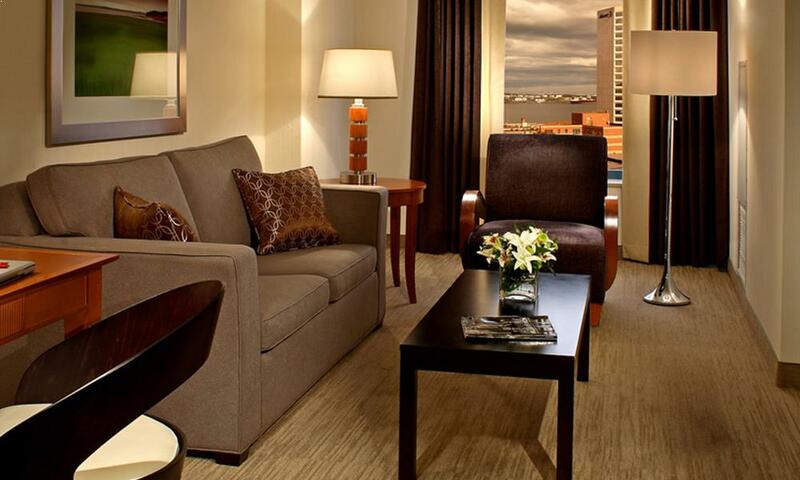 Made to fit you, your suite is guaranteed to feel like home. Spacious and gracious. 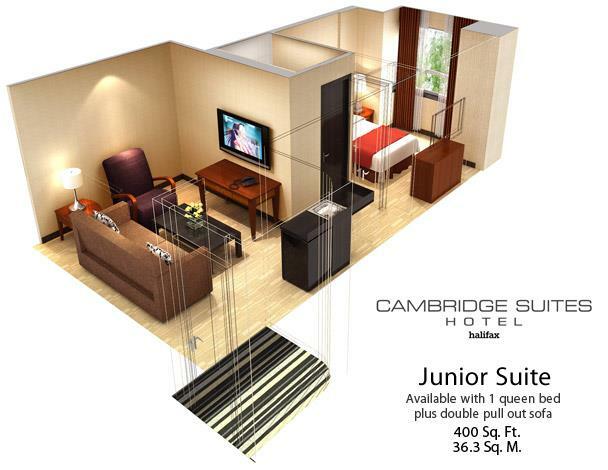 Enjoy 600 well-appointed square feet spread out over two rooms. Just enough for the city. 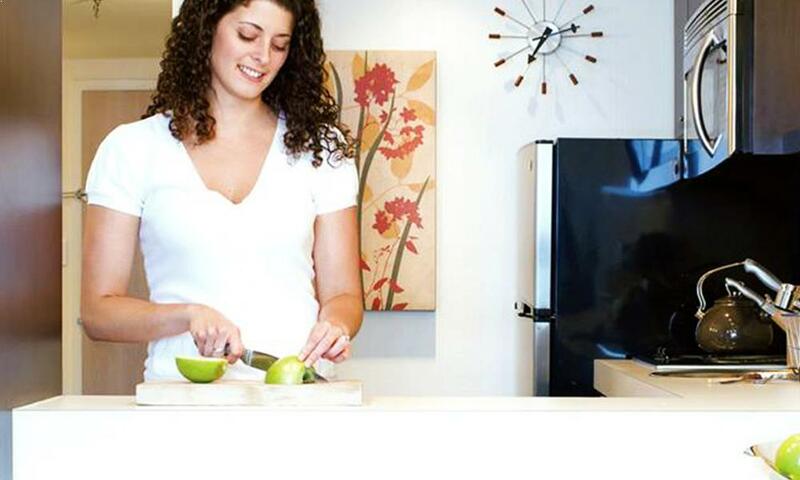 Everything you need cleverly packed into 400 square feet. 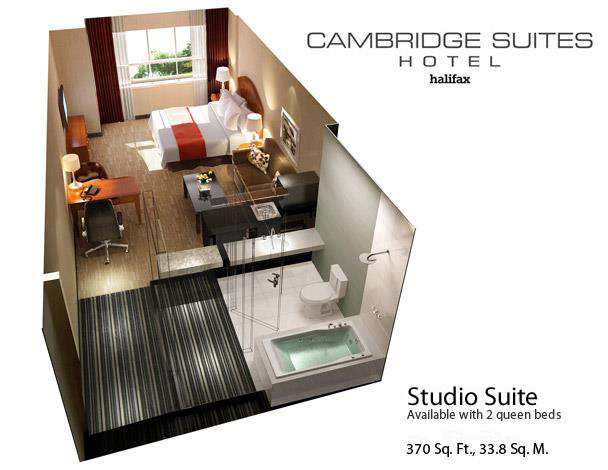 All the amenities of our one bedroom suites, nicely contained in 370 square feet. For those who enjoy an open concept. 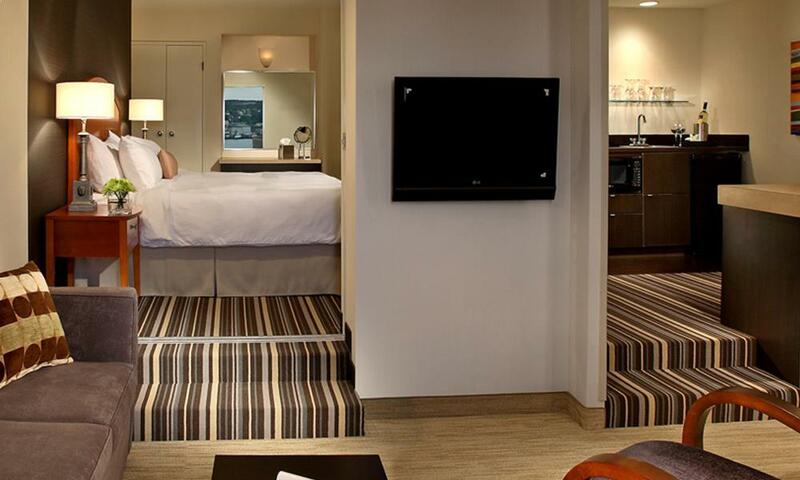 These 600 square foot one-bedroom suites are outfitted with a full-scale, working kitchen with stainless appliances. 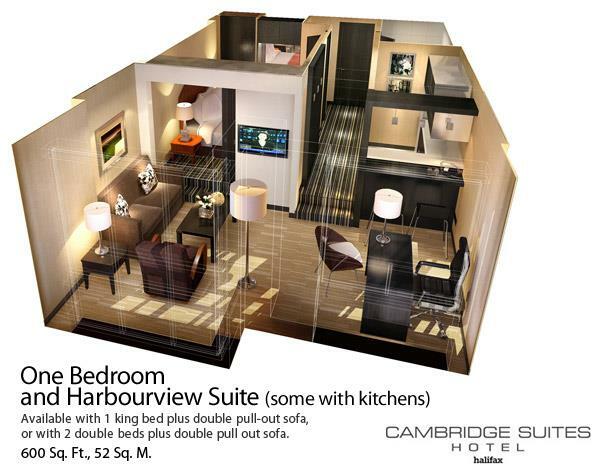 Enjoy all the comfort of any of our suite models with the added touch of a view of the Halifax Harbour.